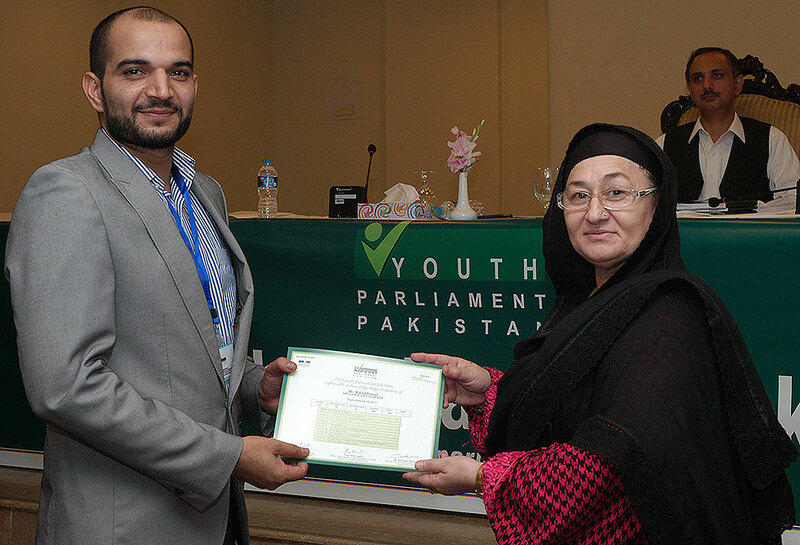 Islamabad, September 18, 2015: The third session of 7th Youth Parliament Pakistan ended today. Top 15 Members were selected for the fifth session after undergoing a comprehensive 5-day training session scheduled to be held later this year. Honourable Ms. Nafeesa Inayatullah Khan Khattak, MNA and Honourable Omar Ayub Khan, Former Finance Minister distributed certificates among the 3rd session Members. Eminent Expert and Former Federal Minister Mr. Javed Jabbar delivered a lecture on “Parliament & Provincial Legislatures”. 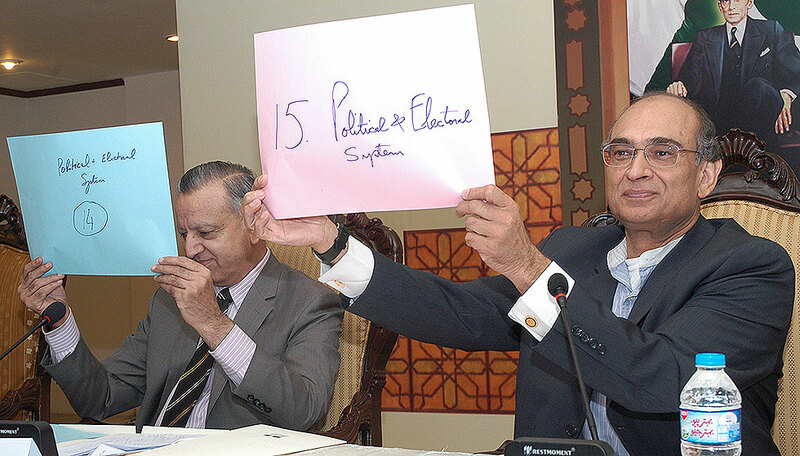 Addressing the Youth Parliament Pakistan Members in the morning session, Mr. Jabbar briefed the youth about the working of Parliament and was of the view that representatives of people along with major institutions of a country together make up the structure of an operational Parliament. Earlier in a Panel Evaluation, Youth Standing Committees presented and defended their reports in front of senior panelists Dr. Shoaib Suddle, Former I.G. 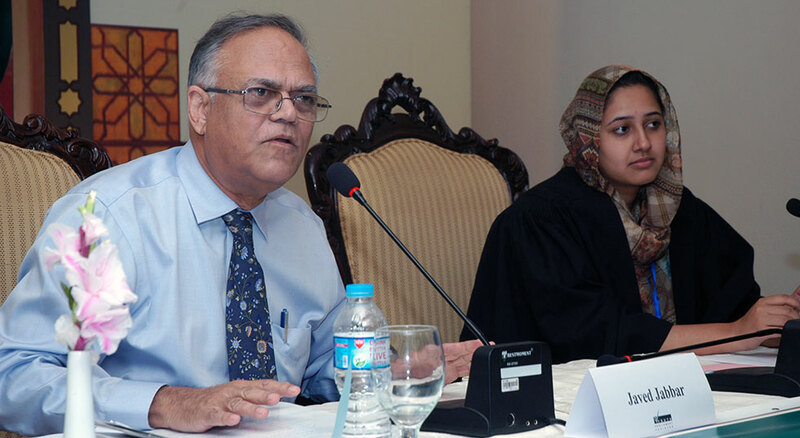 Sindh and Dr. Tariq Hassan, Senior Lawyer/ Former Chairman Securities and Exchange Commission Pakistan (SECP). Youth Standing Committee on Finance and Youth Standing Committee on National Security & Foreign Relations stood first in the Evaluation by the expert’s panel. Members of Youth Parliament Pakistan were also briefed on the ‘Entry & Advancement in Politics’ by Mr. Omar Ayub Khan and later held an interactive session with the seasoned politician. 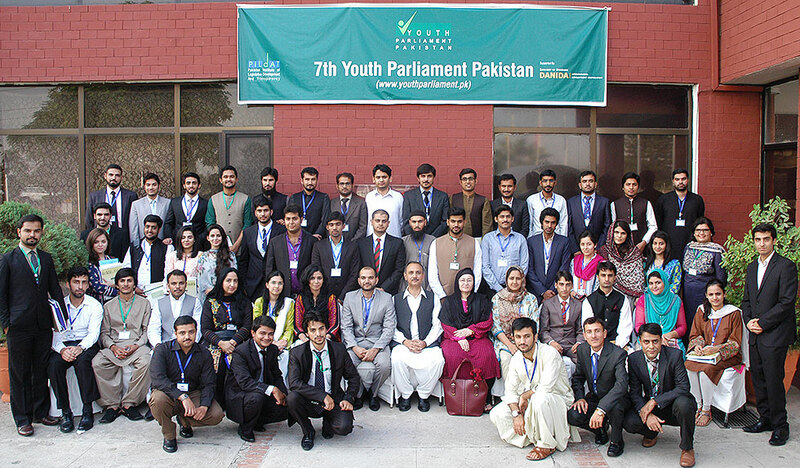 60 new Members of the 7th Youth Parliament Pakistan will become part of the 4th session that will take place in Islamabad in the first week of October.